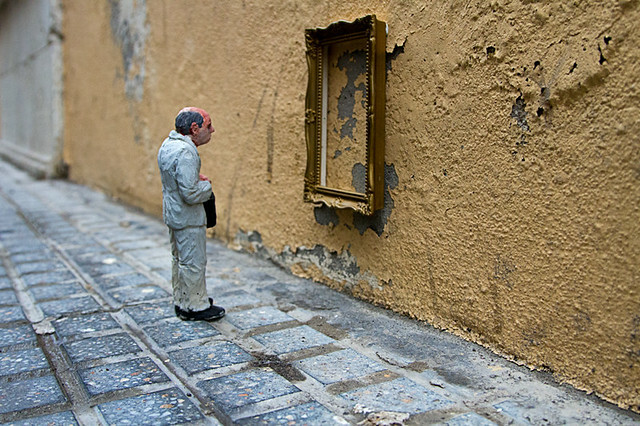 Spanish artist Isaac Cordal has an unconventional approach to public art. While most street artists seek to work on an increasingly larger scale, painting the facades of buildings with the aid cherry pickers, Cordal builds miniature sculptures that he hides in unexpected places. A critique of capitalism (in Cordal’s native country, the world-wide economic recession hit especially hard), Cordal’s work focuses on the mass-produced quality of today’s society. 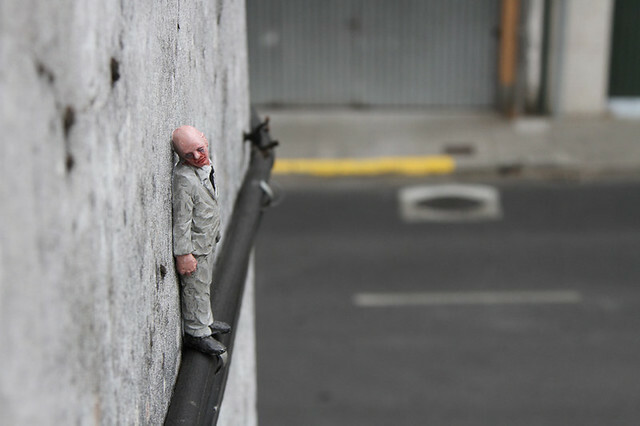 Miniature business men in suits are found in forgotten corners of urban sprawl. Cordal uses his environment to stage poignant scenes with the sculptures as his protagonists. 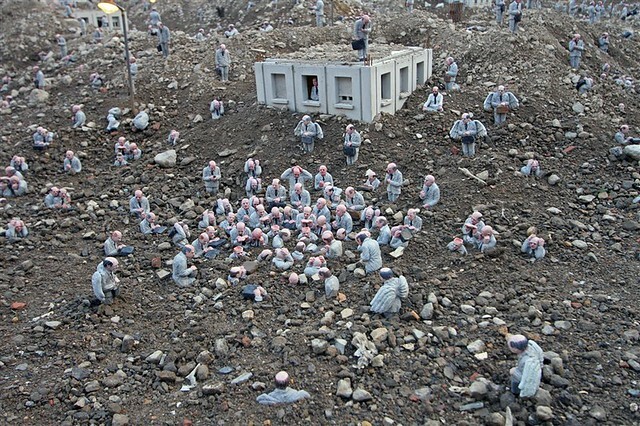 Isaac Cordal is opening his debut US solo show at Anno Domini in San Jose, CA tonight, September 5, and the show will run through October 19. Take a look at some of Cordal’s work for the show as well as some street interventions below.